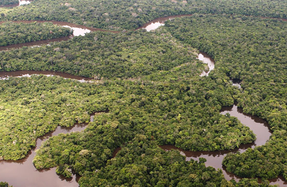 The Amazon is an area of 1.4 billion acres of forests which stretches across eight countries: Brazil, Bolivia, Colmbia, Ecuador, French Guiana, Guyana, Peru, Suriname and Venezuela. There are 4,100 miles of rivers and 2.6 million square miles of the Amazon delta. The health of the Amazon clearly has an effect on the health of the planet and therefore on all of us. 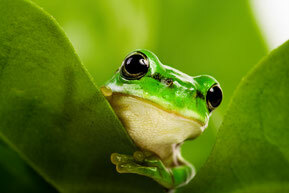 The rain forests binds 90-140 billion tons of carbon and help stabilize local and global climate. The biggest threat for the Amazon is the mostly illegal deforestation to give way for the pastures of the huge cattle farms, for lumber companies and for the production of soya and sugar cane. Per minute the equivalant of around 2.5 soccer pitches of rain forest are destroyed in the Brazilian rain forest. The deforestation has massively increased in the last few years. The Brazilian Government published figures in November 2016 that between August 2015 and July 2016 7989 square kilometers of rain forests were lost. This year, we have decided to donate to the WWF Campaign of WWF Germany "Spenden statt Schenken" ("Donations, no gifts"), and we put the money typically spent for Christmas cards and presents towards a donation for the WWF Forest Projection Projects in the Amazon to protect the rain forest, which we believe is a great contribution to protect our planet.